RakeHarvard — Terra Cura Inc. Spearheaded by Arif Ilahi Khan, a Loeb Fellow at the Harvard Graduate School of Design, RakeHarvard is an initiative to get students, faculty, and staff to rake leaves around the Harvard Campus to reduce noise and air pollution from mowers and blowers, at the same time engaging Harvard community members in a simple, productive and healthy activity. Expanding upon this ecological and social capital flow, Terra Cura co-founder and Harvard GSD alumni Eva Leung is helping to bridge this campus effort to adjacent cities and schools. 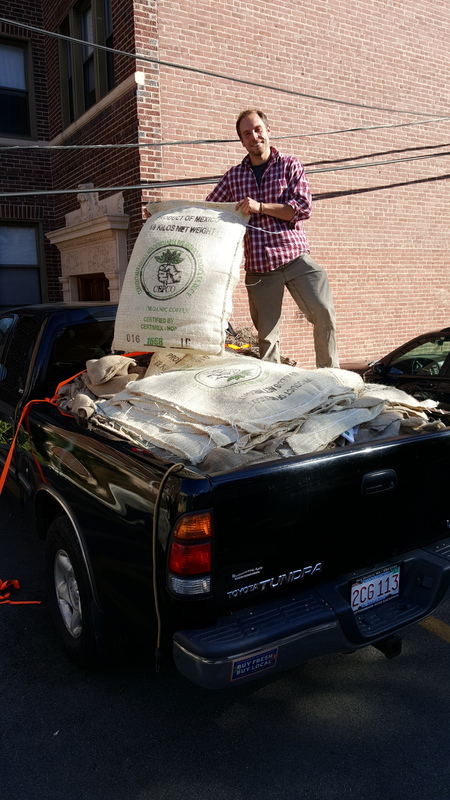 Collected leaves from participating Harvard houses and schools will be composted on-campus as well as local schools and community gardens as soil building material. Click here to see how we are using our leaves! 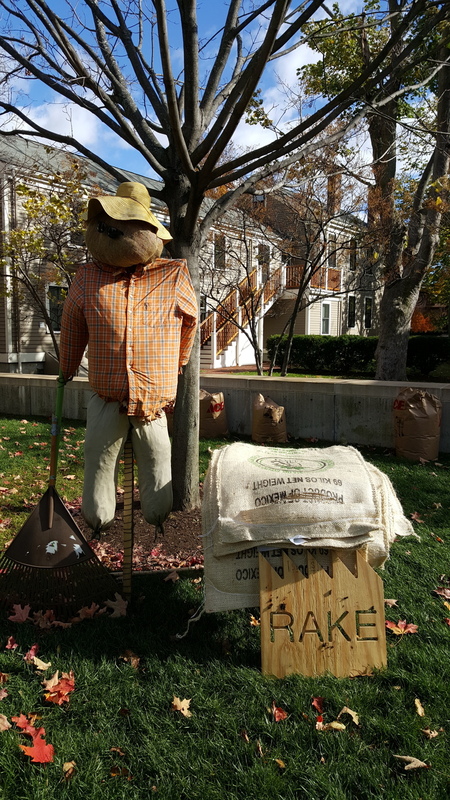 Other recycled resource consists of donated burlap sacks from fair trade coffee co-op Equal Exchange for stuffing, scarecrow making, and coffee grounds from local businesses. Check out our event highlights!